On April 1, Extraction Oil and Gas, Inc. (XOG) announced that the company’s Board of Directors extended the terms of the current stock repurchase agreement. The Board of Directors authorized the current repurchase program on November 18, 2018, and this decision extends the current program through the end of 2019. The company exercised the repurchase rights for about $63 million in outstanding common shares, so the Board also agreed to increase the total repurchase allotment by another $100 million. Sonal alerted investors about the news event at 1:15 pm. The stock had opened earlier in the day at $4.31. The stock had opened earlier in the day at $4.31. 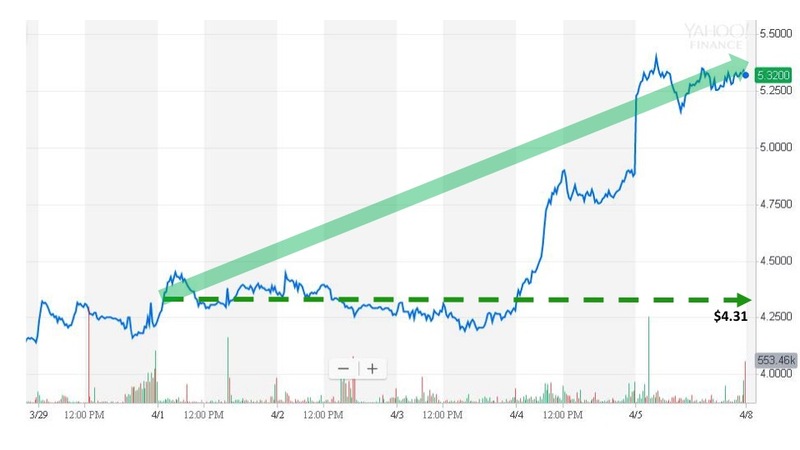 The stock price did not maintain its initial upward trend on the day after the event, but the price continued to push higher overall through the next four trading sessions. Extraction Oil and Gas closed at $5.30 on April 5 for a five-day gain of 23%.